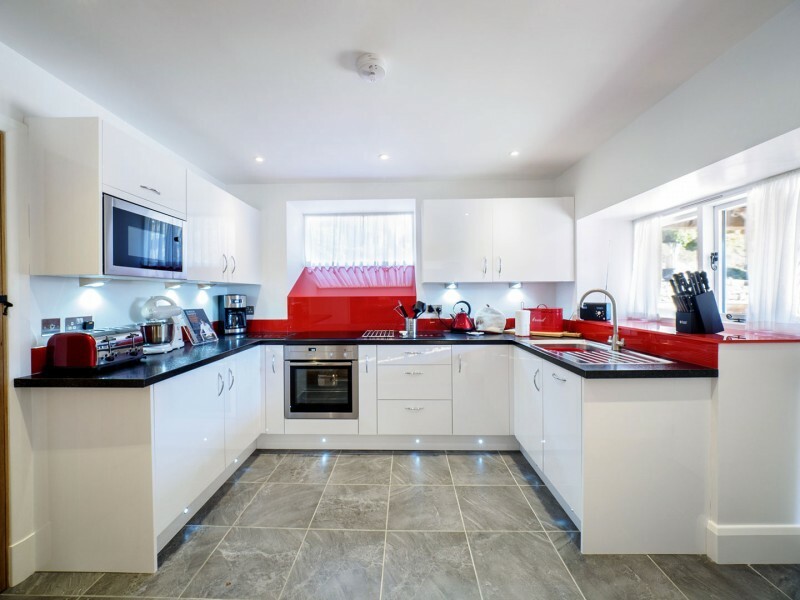 The Kitchen is modern and attractive with built in microwave, fridge, oven, induction hob and dishwasher. There is a toaster, a mixer, a coffee machine, a kettle and a radio. Best of all the kitchen is open to the dining area so if you’re cooking, you’ll never feel cut-off from all the fun. There’s nothing better for that gentle background heat and warm toes. Don’t miss out on your fix of The Archers. 4 slice toaster for when you’re in a hurry to get going. There is a utility room with a WC, wash hand basin and a washing machine.